Google's Clips is quite unlike any camera you've seen before. Announced along with the Pixel 2 in October 2017, this camera uses machine learning to detect when something interesting is happening and automatically take motion photos (think short videos without sound). Google seemed to target it to households with kids or pets where parents may want to leave the camera laying around and then check it out to see if it captured anything interesting. However, with a price tag as high as $250 and a launch date that slipped way into February/early March, Clips sort of came to market without much fanfare. Now Google is momentarily discounting it by $50 on the Google Store, perhaps to help speed up its adoption. 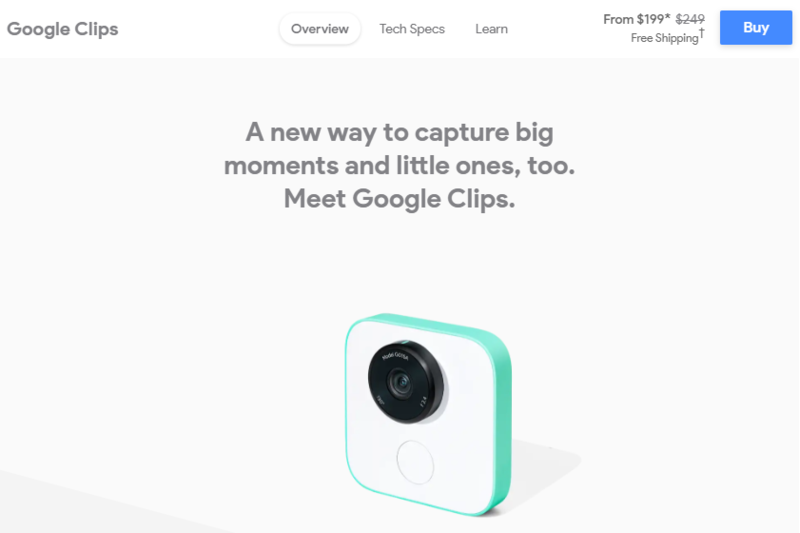 Starting today, April 30, and until May 13 at 11:59pm PT time, interested buyers can grab a Google Clips camera for $199 instead of $249 on the Google Store. The offer is valid in the US, the only country where Clips is officially selling, and also one of the countries where Mother's Day happens to be on May 13 this year. So this seems to be a targeted gift promo. If you're interested, head to the link below and grab your Clips and let us know if you find it any useful. With the bump to high-res still images, you should at least get a bit more use out of it now than at launch.